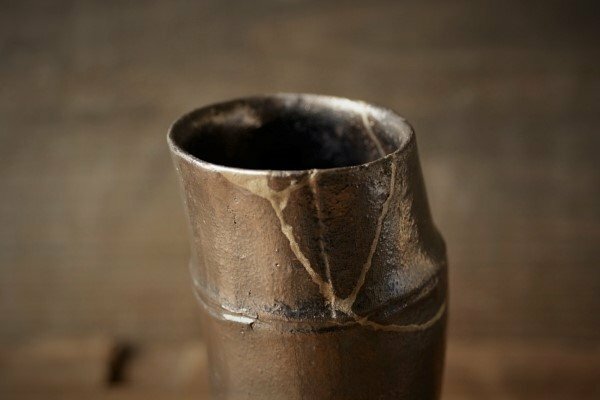 Have you ever tried to fix or repair broken items? If so, why did you do that? 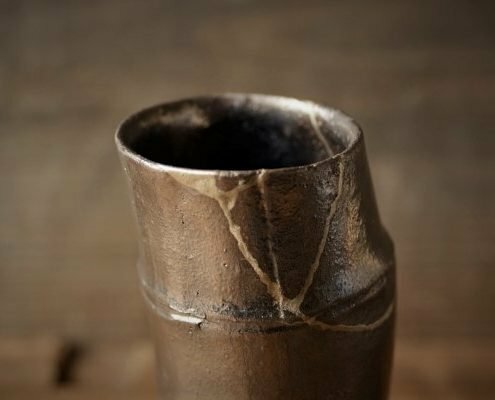 If you think the answer is obvious, then the traditional Japanese repair technique called “kintsugi,” which is typically applied to broken ceramics, will change your definition of “repair.” Meaning “putting broken pieces together using gold,” kintsugi involves gluing fragmented ceramic pieces using the tree sap of Japanese urushi (a kind of poison oak) and coating the cracks by applying gold or silver powder to give fine finishing touches. Although the procedure is simple, the process is elaborate and quite time-consuming. But kintsugi is making a slow comeback lately and spreading globally. 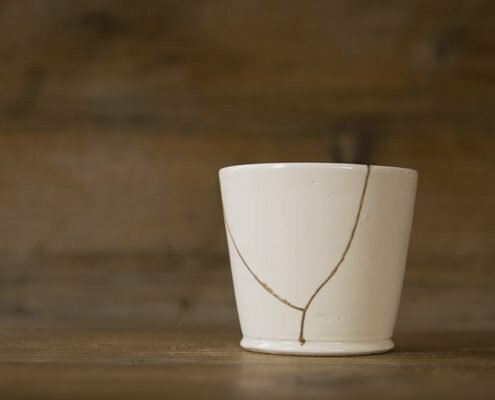 What is the beauty of kintsugi? Why bother spending so much time and effort repairing something old when buying something new would be much easier and cheaper? 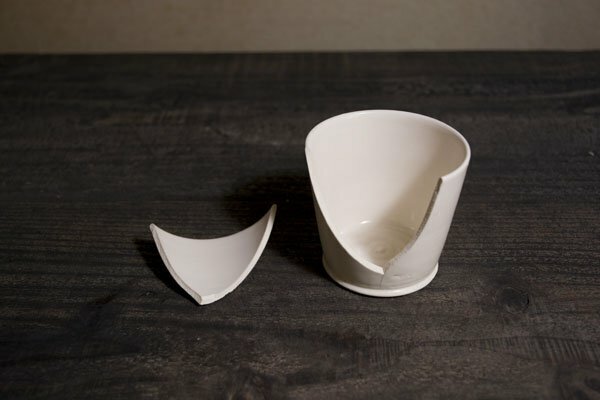 The origin of kintsugi is not well known, but it is often associated with the emergence of the wabi-cha style tea ceremony in the 16th century, which was established by the legendary tea master, Sen no Rikyu (1522 – 1591). 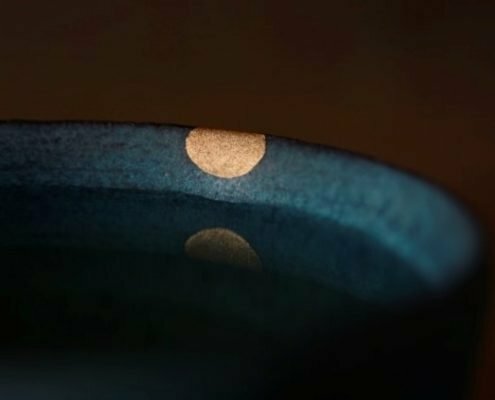 As wabi-cha attempted to find beauty in simple everyday life items, events and behaviors, the wabi-cha tea masters sought to use repaired items during the ceremony rather than replacing them with new ones. Koetsu’s discovery elevated kintsugi from an elaborate repair technique to a form of art. 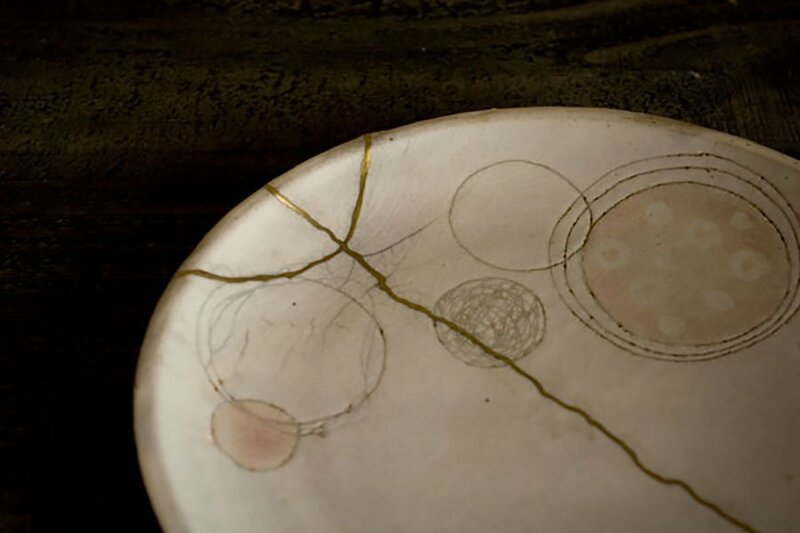 As the technique was passed on to the people who followed him, kintsugi cemented its aesthetics to recognize breakage as the source of beauty, not a deficiency. And that’s what makes kintsugi unique: it goes beyond restoring an item to its original status. 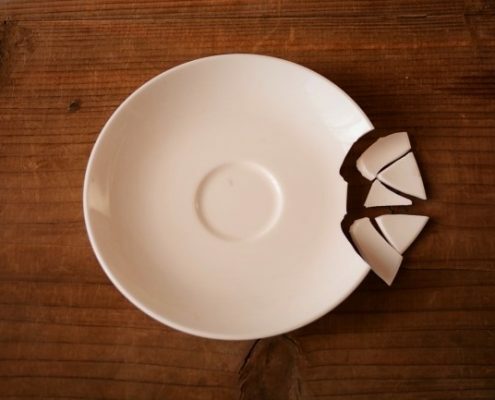 The ceramics that go through the kintsugi process end up possessing different qualities compared to the original. But it is not only because of the added patches and the lines of gold. It’s as if the products had injuries, went through some healing process, and acquired a new status when they were recovered. They recover, but the wounds are not obscured at all. Wounds are rather recognized, appreciated and embraced. 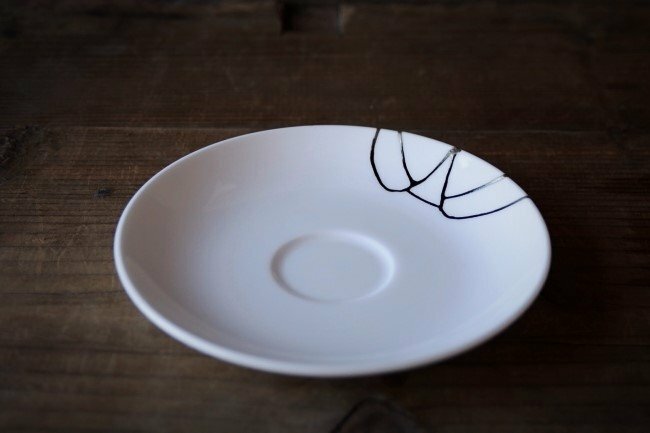 Kintsugi quietly challenges our value system. Are injuries defects, or are they unexpected, unknown mysteries that can be the source of inspiration and beauty? 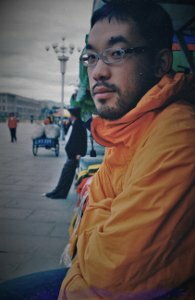 One kintsugi artist, Hayato Fukasawa, who create all the beautiful works of art on this page (see below for his bio), describes the art of kintsugi as a “vehicle to take broken products to a new place between life and death.” Through his experiences working on so many broken pieces of ceramic and glass, he’s become convinced that broken products are never re-born as new, even after they are impeccably repaired. 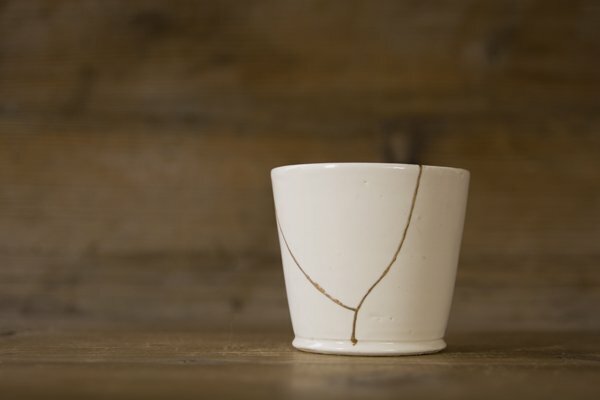 Once they are broken, they are “dead.” But that’s exactly where the beauty of kintsugi comes from, says Fukasawa. In today’s highly modernized society, our world consists almost entirely of things that are “alive.” Once something becomes “dead,” it is immediately pronounced “valueless” and swiftly removed from our value system. As we replace it with a new object, we pretend as if nothing died: our show must go on without things that are decaying. 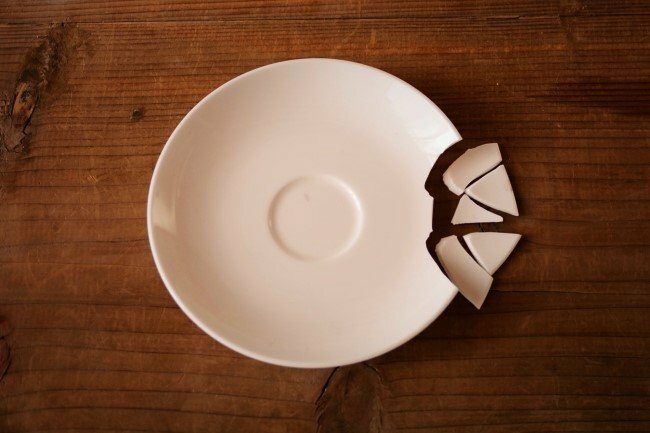 But then, kintsugi quietly brings back otherwise “dead” products to our world…albeit not as “live” products. It quietly makes this ambiguous and mysterious space between life and death, and places repaired products there. But if we look back, dead things have always been part of our world. It is just the other half of what constitutes this universe. Throughout the world, our ancestors maintained culture and tradition to stay connected with various kinds of dead things and dead people. They were remembered, celebrated, worshiped, feared and were given a unique place to stay around. 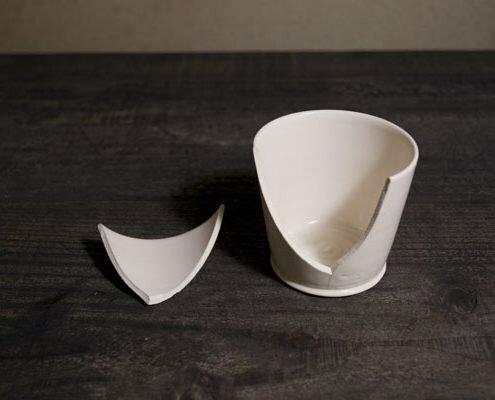 Fukazawa suggests that kintsugi may be talking to our sub conscious-level memory, that takes deep root in our existence, and embraces both life and death. Hayato was born in Saitama, Japan in 1977. He graduated from the Tokyo University of the Arts, specializing in Urushi-Art (Japanese lacquer). Before becoming a kintsugi artist, he was engaged in various works including the preservation of cultural assets such as statues of Buddha, renovation of shrines/temples, and teaching. 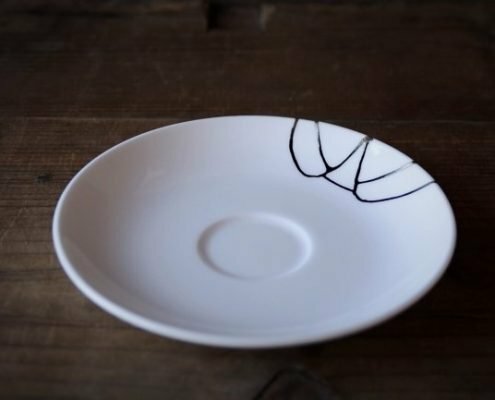 In addition to taking orders from customers to produce beautiful kintsugi ceramics, he has been holding highly popular kintsugi workshops and running an online library to share his passion and skills for kintsugi with other people. Zero = abundance is going to release more contents on kintsugi and Hayato Fukasawa’s work. Please sign up for our newsletter, via the side bar, to receive updates. In the meantime visit the Kintsugi Library, run by Fukasawa, to learn more about the beauty of kintsugi.